Diving is one of the most fun ways to spend your leisure in the water during summer, and also a great career choice for some. 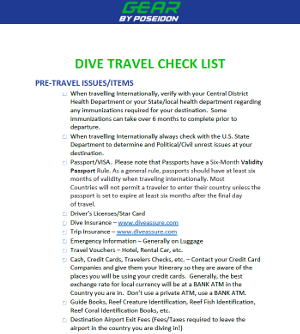 To fully enjoy diving, you will need a number of equipment to ensure efficiency and safety. Physical body movement is one of the areas where optimum effectiveness is needed most under water. Since humans were not created to live underwater, we must rely on scuba diving fins for movement. 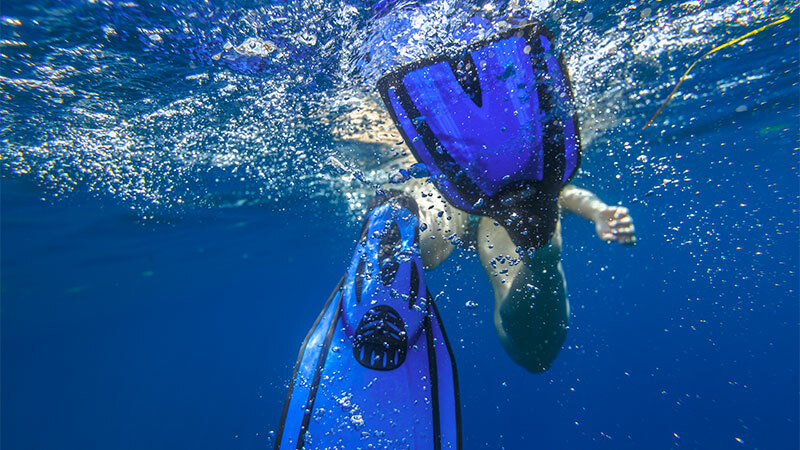 Whether diving for fun or professionally, you will definitely need a pair of diving fins. Scuba diving fins are fins used for propulsion during diving, swimming, snorkeling and body surfing. These fins provide easy mobility for a diver and his gear while under water. A diving fin is not that complicated, as it comprises of two major parts, the blade and foot pocket. This is the wide part of a diving fin and is either made from neoprene rubber or composite plastic. Its main purpose is to offer propulsion. Any good diver knows that the best fin has an ample blade size for maximum efficiency. The blade is designed to match different flexibility and stiffness levels leaving you to choose the one you prefer. While stiff fined blades deliver maximum distance cover per kick, it can be pretty exhausting to flutter kick your way through the entire dive. Flexible diving fins, on the other hand, offer a more comfortable and less exhausting swim. The foot pocket is the part of the diving fin where you can either put in the foot like you do with a shoe or strap it into the pocket depending on which type of fin you are using. Foot pockets are designed to offer comfort and stability while you are in the water. For this reason, they are made from neoprene rubber. When it comes to classifying diving fins, many factors come into play. These factors include, but not limited to the type of dive you are planning to execute, comfort issues and make or design of the fin. These are dive fins with rubber foot pockets that fully cover the heel of a diver and are quite comfortable especially in warm water dives. Another thing about them is that they are made to be put on barefoot without dive booties. If you ask many experienced divers, they will tell you they prefer this type of diving fins. This is because open heeled fins have foot pockets with an adjustable strap that makes it easy to fit in and out, as compared to the closed heel fins and are used together with dive booties making the dive experience warm and comfortable. Their foot pockets are also bigger than those of closed heel fins due to the fact that they are used together with dive booties. These fins will protect your feet during getting in and out of the water. These are diving fins whose blade is continuous to the end with no split. Some have holes or vents, ribs and rails to channel the water for more efficient propulsion. In these, you can definitely flutter kick and even frog kick. Paddle fins are made in different levels of stiffness and flexibility as mentioned earlier. They are also great while turning, reversing and stopping. Split fins have a blade that is cut through the middle dividing it into two equal sides. 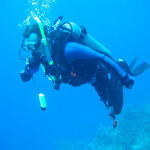 This type of diving fin is very efficient especially for those who tire easily or have joint issues. The ideal way to move in these fins is by flutter kicking. Frog kicking in split fins can be quite an inefficient way to propel you. They are also good to use in reefs since they don’t put a lot of stress on your back and leg muscles. Also known as turtle fins, these diving fins are made to offer maximum propulsion and are heavier than other models. Though not great for tropical diving and use by inexperienced divers, they are very efficient in turning and also easier to get on and off mainly because they have a spring strap. Jet fins are great for frog kicking, advanced diving techniques like backing up and helicopter turns, and thus are mainly used by technical and drysuit divers. Due to their spring strap feature, they fall under the open heeled classification. The spring strap enhances comfort. For those who love to have fun in water but more closer to the surface, these diving fins are the best choice for you. Snorkeling fins also go by the name full-foot fins. They have foot pockets that slip on like shoes and are short thus easy to use on the surface. This feature makes them suitable only for shallow depth and not deep scuba diving. What would happen if you tried to scuba dive in them is you would have to kick harder and faster to move as fast as divers using other types of diving fins. You may see diving fins of different colors and think it’s just for beauty, but while scuba diving far below the water surface visibility can be a problem and this is when the color of the fins matter most. Fins with bright colors are easy to see and divers can use this to identify their partners when it gets darker. This type of fins stands out from others because of their long, thin and stiff design. Freediving fins are great for frog kicking and flutter kicking. They deliver great propulsion and speed due to the long thin blade and were first specially made for breath-hold diving. These are modified diving fins that provide more efficiency and effectiveness compared to other diving fins. Some are made with more elastic rubber, others have a special wing-like design while others even have a gear shifting mechanism that increases or reduces resistance while you dive. All these factors greatly increase propulsion and reduce work on your body. If you thought diving is only for those who can use their legs then you are very wrong. Hand fins are just gloves with web design. They are specially made for the physically challenged who can`t use their legs. In conclusion, scuba diving fins have been and will continue evolving to boost comfort, efficiency, and effectiveness during moving under water. However, this is not the only method of propulsion used, another way is by using a diver propulsion vehicle; this only proves that humans will continue innovating and inventing new and easier ways to do things that have been previously thought to be impossible.